Cleaning dishes doesn't get much easier! 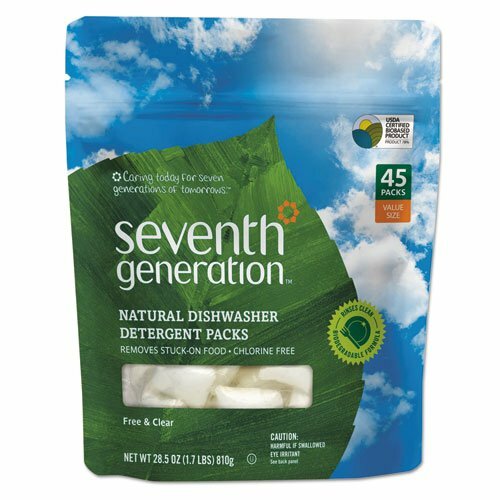 Put one single-use pac in your dishwasher to remove grease and grime without the use of phosphates, chlorine or synthetic fragrances. Convenient, no-mess alternative to traditional powders and gels. Free & clear of synthetic dyes and fragrances. Resealable pouch. Application: Automatic Dishwashers; Applicable Material: Ceramic; Stainless Steel; Glass; Plastic; Chemical Compound: Plant-Derived Surfactants.